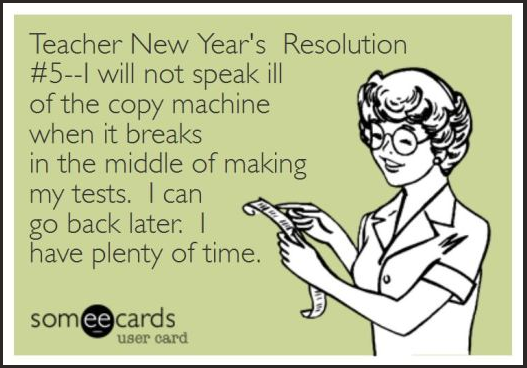 BEAST Those Resolutions: In And Out Of Your Classroom! Haha, just kidding. That gave me a chuckle, so I wanted to share it with you. 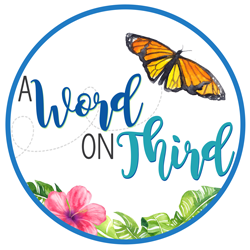 As the New Year approaches, it is a perfect time for us to re-evaluate some of the things going on in our classroom. It's a great time to approach re-writing or revising classroom--especially if something isn't working in the way you would like. Even if your classroom feels like a well-oiled machine, it's still a great time to re-visit classroom rules. Check out a post on that by clicking the picture below. 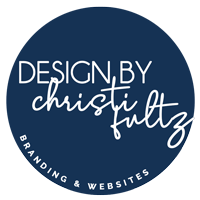 I want to share a freebie with you today. 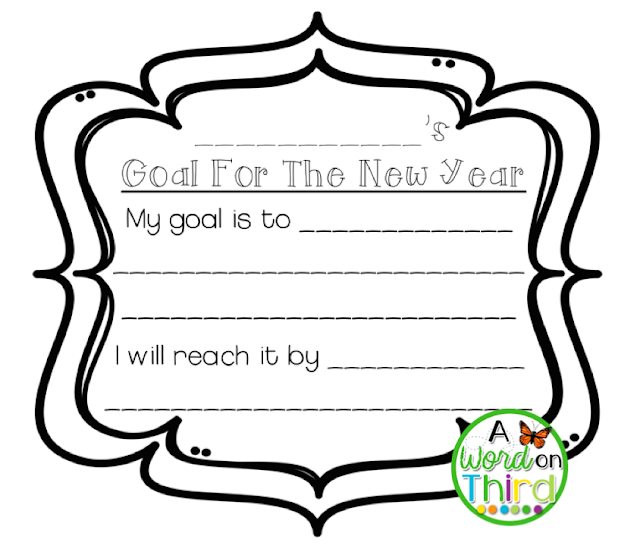 This freebie in my store will help you to re-launch your classroom in January while helping your students to reflect. In September in my classroom, we publish hopes and dreams. By January, I've found that many of the students are ready to revise their hopes and dreams too. Maybe they have reached their previous goal, or maybe their priorities have changed. Click the picture to download the freebie in my store! It's a simple template, but it's effective. Before students write their resolution and publish it, I like to have them spend some time talking with partners about what surprised them so far this year, what they were able to accomplish, what was challenging for them, etc. I have a whole-class discussion too so that students can think about goals through an academic and social lens. 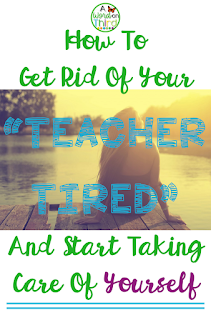 Now, on a PERSONAL level, Teachers... what are you doing to take care of yourselves? All year, and especially in September, I was really focused on taking care of myself. In December, though, I feel like I really let that slip out of reach. I was spending too much time at work (9 PM is NOT when I should be getting home!! ), and it was making me really cranky. I have had major teacher burn-out this year so far if I'm being completely honest with you. I've had so many drastic life changes in the past 6 months or so, but I've also had new challenges to grow through in my professional life this year. I've been recovering all break. I am glad I spent the time relaxing, but I did not do all the things I wanted to do during break. I'm fine with chilling out and watching tons of Netflix, but there are FUN things I wanted to do that were too much for me. 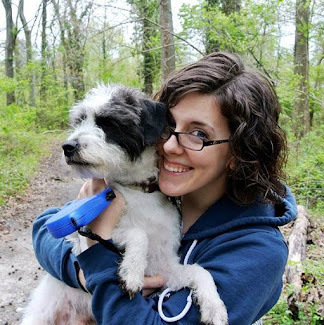 I was too tired to go out for hikes with my dogs--that's pretty darn tired for me. That leads me to reflect on the changes I need to make in 2017 to make sure I am at my happiest. I don't want to feel like a curmudgeon each day. I have 3 resolutions to get 2017 more in line with what I want my life to be. The first thing I want to do is get my nutrition back to where I want it to be. You might think that that doesn't have a lot to do with teaching, but I really notice how I feel is directly related to what I eat. I also don't drink coffee in the morning (caffeine doesn't work for me... booo!! ), so my food HAS to fuel me to get me up and ready for my students at 8:45 AM. To me, that means that what I eat directly impacts my teaching abilities (just like how much I exercise, sleep, and hydrate does too). I am a little bit nervous to be trying this out, but I'm committing to a 28 day reset nutrition plan. You can check it out by clicking the picture above. I am trying the vegan one, but there is a regular one for omnivores too. The whole point of a reset is to cleanse your body. Basically, you eliminate certain types of food that typically cause problems to clean out your body, and then you re-introduce them into your diet gradually. You see what foods you experience negative reactions to and you make a decision about moving on with those food groups in the future. Sometimes, you might find that you are bloated or your body is irritated in some way due to a type of food you are eating, but, just by eliminating it for a short time, you are able to re-introduce that same food later with no aggravation whatsoever. The pause "resets" your body. 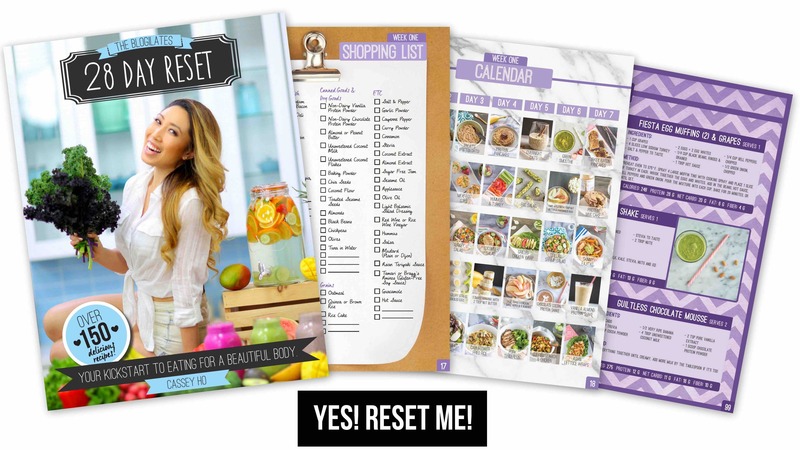 The reset I purchased is awesome because it teaches you a bit about the science behind the nutrition plan, gives you grocery lists and meal plans, and includes tons of recipes. I am probably not going to follow the meal plan exactly--but I will be following the rules of the reset. I just like to cook a lot of things in bulk, so I don't want to cook 4 different recipes each day. This can be easily tweaked for your needs! One tweak I will be making is including eggs in my diet because I am vegetarian but not vegan. It will be interesting to see how my body reacts to certain types of foods after the 28 days. The second thing I need to do to get my happy-go-lucky teacher energy back is get back into my normal exercise routine. Believe it or not, I actually LOVE exercising. I used to hate it, but I hadn't found a routine I liked yet. It is as simple as that. If you think you hate exercising, I am willing to bet you just don't know what exercise you like yet. POP Pilates changed the way I felt about exercising. The more I did POP, the more interested I became in other types of exercise that I used to dislike. I am also committing myself to doing PIIT28 for the next 3 months. It is a high intensity and Pilates blend, but it's ONLY 28 minutes each day (OK, maybe add an extra 5 for stretching before and after, but I can definitely manage that). If this sounds like something you'd be interested in, you can check it out below. I did PIIT28 last year for a few months, and the changes I noticed were incredible. I had WAY more energy than I had ever had before, I felt strong, and I felt really good... endorphins EVERYWHERE. The best part is that I could handle fitting this in before work. This leads me to my last resolution. This is really important to me, and I think the first 2 resolutions I shared will help me meet this one. I am leaving work every day by 5 o clock, no matter what. No more 9 o clock nonsense!! That isn't good for me, and therefore, it's not good for my students. 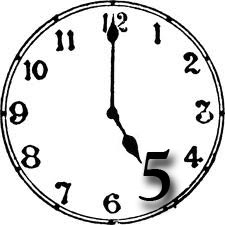 I will probably stay at work until 5 each day, but I do not want to stay later than that. Since September, I've been staying late on Fridays until I was completely prepped for the next week. That meant that I had no work to do over the weekend, which was nice, but I would be SO TIRED when I got home on Fridays at 7 or 8 PM. I'd probably stay until 6 or 7 two other days a week too. I rarely leave before 4:30. Put that all together, and it's just too much for me. I love teaching, but it does not need to come at the cost of my personal life. I can do both. Do you guys have trouble with this? Sometimes I imagine the teachers who are active online blogging about best practices or researching them can have trouble with this. Because I am genuinely interested in teaching and enjoy finding different things on Pinterest or TeachersPayTeachers, I can have trouble drawing the line between just enough and too much time spent on school stuff. I'll be following a lot of my own advice in my previous Teacher Tired posts. If you feel like you need to spend more time taking care of YOU, check out this post. So, that was a little long and ramble-y, but I wanted to share these things with you guys! I used to have such a good balance between work and my personal life, so I'm going to hop back on the balance bandwagon and get going! I'm actually feeling much more positive now than I did when I started writing this post. It was cathartic to write this. What are YOUR resolutions? Are you beasting it with something that inspires you to keep moving forward right now? Are you struggling a bit but eager to figure it all out? Comment below!